Bailey Therapeutic Massage is pleased to be a part of the first annual downtown Maynard Valentine Gift Giveaway. Nearly 30 merchants and service providers in Maynard will each give away a raffle gift for Valentines Day with a value of at least $50! Look for the Valentine Gift Giveaway banner in the window. Current and potential clients and customers can register with each participating business between Tuesday, February 7th and Saturday the 11th. You can register at as many businesses as you wish throughout the week - one registration per person, per business. A drawing will be held at each participating business location at 2 pm Saturday February 11th. You do not have to be present to win. Bailey Therapeutic Massage will give away a One Hour Massage Gift Certificate worth $70. For a list of participating businesses, check your copy of Action Unlimited this weekend when it arrives in the mail. This is our 20th Bailey Therapeutic Massage Newsletter! 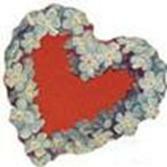 Our first-ever newsletter was mailed out through the U. S. Postal Service for Valentines Day 1994. This is our second internet newsletter from Bailey Therapeutic Massage, and the STAR Tech Healing and Learning Center. What a difference twelve years makes in putting together such a work. Back in the “old days” Barry did everything cut and paste, literally. It took him weeks to put two, then four pages together. Today the process is much faster and more attractive, with the addition of color and contemporary graphics. Even more thrilling is how changes can be made instantly. No more running to the copy shop to make size and copy changes every few hours. If you have friends or neighbors who you know are our clients, please let them know that our newsletters will only be sent via the internet in the future. We must have e-mail addresses to do this, and request that anyone who has not given us their e-mail address, do so by mailing to Barry at bb601@verizon.net. We hope you enjoy receiving the news and information that we offer here. Our aim is to help you to have a healthier and happier life by bringing you information and ideas to make your life better. Inflammation is often the cause of the pain that people feel in their muscles and joints. Massage is regularly what sufferers turn to for relief, and more often than not is quite helpful in relieving the pain caused by inflammation. Supplementary methods can also be used by clients to complement the marvelous effects of their massage. Additional pain relief help can be found in the kitchen, on the spice rack. The spices curcumin or turmeric and ginger are only two natural plant-derived seasonings that have been used over the years for controlling inflammation and pain. Curcumin is a member of the ginger family. It, like ginger, is a root, growing underground. Turmeric is the seasoning that gives curry powder its yellow color. It is also an important ingredient of prepared mustard. And remember the old mustard plasters that our grandparents and parents used? In this case cumin was used topically. Used either topically or ingested orally, turmeric and ginger suppress inflammation. Ginger is referred to in the Ayurvedic medical system as the universal medicine. Ginger also reduces inflammation, and has been used throughout the world to treat joint pain and arthritis as well as to relieve headaches. Using curcumin/turmeric and ginger in the food we prepare can help knock down inflammation in a more natural way than turning to over the counter drugs. One note of importance about ginger. Ginger is a blood thinner, and should not be eaten while taking blood-thinner medication. Also, if you are scheduled for surgery, you should tell your doctor you have been eating ginger. You should stop eating ginger three to four weeks before a scheduled surgery. It’s that time of year again. 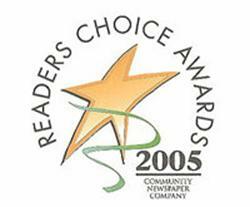 Community Newspapers has sent out ballots for the 2006 Readers Choice voting. If you are a reader of a Community Newspaper publication, please consider casting your votes for Bailey Therapeutic Massage and the STAR Tech Healing and Learning Center. In the past, Bailey Therapeutic Massage was voted the #1 Choice for Massage in Maynard in 2003, 2004 and 2005. If you are one of our Massage clients and like our work, please write in our name on the Day Spa or Massage line. Be sure to designate Maynard as the city. If you are not already casting a ballot for a Health Club, please consider voting for the STAR Tech Healing and Learning Center on the Health Club line. Be sure to add Maynard as the city. Your vote will help to keep the Learning Center going by giving us more recognition. In both instances, if you do not already have a therapist or gym you plan to vote for, please consider casting your votes for us. You can get a ballot from any one of the many local papers that are owned by the Community Newspaper Company, or vote online at www.townonline.com/choice. Thank you for voting for us in the past and helping us to grow. Barry has been teaching classes at night in the Acton-Boxborough Community Education program. He has already given classes that teach self-relief from pain for the lower arm and hand, lower legs, and neck and shoulders. In the fall, he taught an eight week Friday morning block of Active Stretching for EveryBODY classes. Tuesday February 7 Barry teaches a new class, Anywhere Massage for Everybody. Advertisements for this class invite partners and couples to learn how to do simple massage techniques that can be done anywhere. Parents are encouraged to bring their children and teenagers and learn to do the through-clothing massage techniques on each other. Barry has a new weekly offering at the Learning Center. Upper Body Self-Recovery Clinic / Class addresses upper body soft tissue tightness and pain. Personal attention is given to the participants who are in each class, and they are taught how to relieve their own pain by using Active Isolated Stretching, STAR Stretching, and various other techniques. Each hour-long class is $15. Nancy and Barry regularly attend the Hand in Hand Networking meetings for Massage Therapists and other Body Workers. These meetings offer health care practitioners a chance to compare and share concerns, problems and successes. At each meeting a speaker offers information and ideas, and may share techniques for working better with clients. The next meeting is scheduled for Friday, February 17 in Northborough, MA. Meetings run from 12:15 until 2 pm. New evidence is supporting the belief that accumulating exercise over the day is just as effective as exercising all at once. What could be more logical? This is how man has moved and evolved since his beginning. Only in today’s culture do we feel we have to squeeze all of the movement that our body wants and needs, into an hour or two, several times a week. So, climb those stairs instead of taking the elevator, and park your car in the far corner of the parking lot and walk for a few minutes. Garden, walk the dog, play with your children and pets knowing that it is a completely natural and healthy thing to do. Continue to exercise on a regular schedule, but don’t beat yourself up, when you miss a workout.